Some of the methodological conditions of mathematical models in tasks of machines dynamics are discussed. Is shown that at all complexity of technical objects their formalized models in engineering practice often are considered abreast of systems with relatively of small number of degrees of freedom. Review of the methods in the estimation of properties of mechanical oscillation systems which are widely used as a design schemes of different technical objects, allows more clearly to determine the generalized representations about dynamical processes which are implemented in system with feedback ties. Technology of system consideration of tasks of constructions of mathematical models in form structure schemes equivalent in dynamical relation of automation control systems are offered. Directions of development of methods and means to ensuring the vibration protection objects are identified that associated with the expansion of the basic concepts of automation control theory. In first part is shown that design schemes of objects of transport dynamics at complication of technical objects begin to represent more advanced forms of dynamical interactions which creature new ties. Such ties is implemented as special constructional elements in form levers of different types, intermediate devices and large fragment of system. Keywords: structure models of vibration protection systems, the extension of a typical elements set, structure transfor-mations, movement transformation devices, lever connections and mechanisms. Makhutov N.А. Sovremennye tendencii razvitija nauchnyh issledovanij po problemam mashinovedenija i mashinostroenija [Modern tendencies of devolop of scientifical research on engineering and mechanical engineering] / N.А. Makhutov, V.P. Petrov, V.I. Kuksova, G.V. Moslvitin // Problems engineering and automatization, 2008, №3. – p. 3-19. Dinamicheskie vzaimodejstvija jele-mentov mashin: raschetnye shemy i matematicheskie modeli vibracionnyh sostojanij [Dynamical interactions of machines elements: design schemes and mathematical models of vibration conditions] / Eliseev S.V., Artyunin А.I., Logunov А.S., Nasnikov D.N., Bolshakov R.S., Kaimov Е.V., Mironov А.S., Parshuta Е.A. ; Irkutsk state Transport university – Irkutsk, 2013. – 319 p. – Bibliog. : 178 names. – Rus. – Dep. in VINITI 08.11.13 № 313 – V 2013. Eliseev S.V., Reznik Y.N., Khomenko А.P. Mehatronnye podhody v dinamike mehanicheskih kolebatel’nyh sistem [Mechatronics approaches in dynamics of mechanical oscillation systems]. – Novosibirsk: Science, 2011. – 394 p.
Belokobilskii S.V., Eliseev S.V., Kashuba V.B. Prikladnye zadachi strukturnoj teorii vibrozashhitnyh sistem [Applied tasks of structural theory of vibroprotection sytems].– SPb: Politechnika, 2013. – 374 p.
Eliseev S.V. Koncepcija obratnoj svjazi v dinamike mehanicheskih sistem i dinamicheskoe gashenie kolebanij [Concept of feedback tie in dynamics of mechanical oscillation systems and dynamical absorbtion of oscillations] [Internet resource] / S.V. Eliseev, А.N. Trofimov, R.S. Bolshakov, А.А. Sаvchеnко // technomag.edu.ru: Science and education: internet science technical edition. #5. 2012. URL. http:// technomag.edu.ru/doc/378353. html (data of treatment: 10.05.2012). Belokobilskii S.V., Eliseev S.V., Sitov I.S. Dinamika mehanicheskih sistem. Rychazhnye i inercionno-uprugie svjazi [Dynamics of mechanical systems. Lever and inertial elastical ties]. – SPb: Politechnika, 2013. – 324 p.
Dinamika mehanicheskih kolebatel’nyh sistem: strukturnye analogii, mehanicheskie cepi [Dynamics of mechanical oscillation systems: structural analogies, mechanical chains] / Eliseev S.V., Moskovskikh А.О., Kaimov Е.V. ; Irkutsk state Transport university.– Irkutsk, 2013. – 116 p. – Bibliog. : 101 names – Rus.– Dep. in VINITI 23.12.2013 № 378 V-2013. Emelianov S.V., Korovin S.K. Novye tipy obratnoj svjazi: upravlenie pri neopredelennosti [New types of feedback tie: control at uncertainty]. – Мoscow: Science. Phismathlit, 1997. – 352 p.
Eliseev S.V. Vozmozhnosti integracii metodov teorii cepej i teorii avtomaticheskogo upravle-nija v zadachah dinamiki mashin [Possibilities of integration of methods of theory of chains and automation control theory in tasks of machines dynamics] / S.V. Eliseev, А.О. Moskovskikh, R.S. Bolshakov, А.А. Sаvchеnко // technomag.edu.ru: Science and education: internet science technical edition. #6. 2012. URL. http:// technomag.edu.ru/doc/378699. html. Kiryukhin А.V. Aktivnaja vibrozashhita – naznachenie, principy, sostojanie. Aktivnaja vibrozashhita i shumoizoljacija truboprovodov i jeksperimental’nye issledovanija [Active vibroprotection – function, principles, condition. Active vibroprotection and noise insulation of pipeline and experimental research] / А.V. Kiryukhin, V.А. Tikhonov, А.G. Chistiakov, V.V. Iablonskii // Problems engineering and automatization, 2012,№4. – p. 102-110. Khomenko А.P., Eliseev S.V., Ermoshenko Y.V. Sistemnyj analiz i matematic-heskoe modelirovanie v mehatronike vibroza-shhitnyh sistem [System analysis and mathema-tical modeling in mechatronics of vibroprotection systems]. – Irkutsk: IrSTU, 2012. – 288 p.
Khokhlov А.А. Dinamika slozhnyh mehanicheskih sistem [Dynamics of complicated mechanical systems]. – Мoscow: MIIT, 2002. –172 p.
Khomenko А.P. Dinamika i upravlenie v zadachah vibrozashhity i vibroizoljacii podvizhnyh ob#ektov [Dynamics and control in tasks of vibroprotection and vibroisolation of mobile objects]. – Irkutsk: ISU, 2000. – 293 p.
Sovremennye problemy dinamiki mashin. Zashhita ot vibracij i udarov [Modern problems of machines dynamics. Protection from vibrations and shocks] / Eliseev S.V., Khomenko А.P., Barsukov S.V. Irkutsk state Transport university – Irkutsk, 2011. – 460 p. – Bibliog. : 23 names. – Rus. – Dep. in VINITI 21.03.11 № 135 – V 2011. Varguninin V.N. Konstruirovanie i raschet rychazhno-sharnirnyh sredstv i agregatov [Construction and calculation of lever-articulated vehicles and aggregates] / V.N. Varguninin, V.N. Gusarov, B.G. Ivanov, А.S. Levchenko [and others]; edited О.P. Mulyukin. – Samara: SamGUps, 2006. – 86 p.
Ivanov B.G. Razrabotka metodov rascheta dinamiki i prochnosti agregatov transportnoj tehniki s rychazhno-sharnirnymi svjazjami [Develop of methods of accounting of dynamics and strength of aggregatesР of transport technics with lever-articulated ties]: avtoref. diss. doct. tech. sc. – Samara, 2007. – 48 p.
Lavrus V.V. Sovershenstvovanie pnevmaticheskih rychazhno-sharnirnyh sistem zheleznodorozh-nogo transporta [Improvement of pneumatic lever-articulated systems of railway transport]: avtoref. diss. doct. tech. sc. / V.V. Lavrus. – Orel, 2006. – 20 p.
Eliseev S.V., Kashuba V.B., Ermoshenko Y.V. Rychazhnye svjazi v zadachah dinamiki transportnoj podveski [Lever ties in tasks of dynamics of transport of suspension]// Systems. Methods. 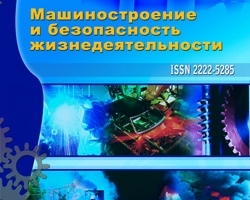 Technologies, 2011,№9. – p. 24-31. Rychazhnye svjazi v zadachah dinamiki mehanicheskih kolebatel’nyh sistem. Teoreticheskie aspekty [Lever ties in tasks of dynamics of mechanical oscilation systems. Theoretical aspects] / Eliseev S.V., Belokobilskii S.V., Upir R.Y., Gozbenko V.Е. Irkutsk state Transport university – Irkutsk, 2011. – 158 p. – Bibliog. : 15 names. – Rus. – Dep. in VINITI 27.11.09 № 737 – V 2009. Eliseev S.V., Upir R.Y., Logunov А.S. Rychazhnye svjazi v dvumernyh mehanicheskih sistemah [Lever ties in two-dimensional mechanical systems] / Dg. of science of proceedings. Serie mechanical engineering, constructing. – Poltava, 2009. – p. 90-98. Mehanizmy v uprugih kolebatel’nyh sistemah: osobennosti ucheta dinamicheskih svojstv, zadachi vibracionnoj zashhity mashin, priborov i oborudovanija [Mechanisms in elastic oscillation systems: features of accounting of deynamical properties, tasks of vibraion protection of machines, devices and apparatus] / Khomenko А.P., Eliseev S.V., Artyunin А.I., Parshuta Е.А., Kaimov Е.V. ; Irkutsk state Transport university – Irkutsk, 2013. – 187 p. – Bibliog. : 20 names. – Rus. – Dep. in VINITI 15.08.13 № 243 – V 2013. Bolshakov R.S., Eliseev S.V., Machine vibrations and dynamics: design schemes structures and mathematical models. Part I, №2 (20) 2014, Trofimov A.N.